(NaturalNews) A new study published in the journal Archives of Toxicology explains how many degenerative diseases are caused by poorly-bound iron in the body that reacts with various bodily components to generate toxins. This iron is consumed through various foods but is not stable enough to stay put and provide health benefits. But iron chelators, which are especially present in purple foods and green tea, provide iron with the binding nutrients it needs to function properly as well as prevent various degenerative diseases. According to the study, brightly-colored fruits and vegetables are rich in iron chelators, and by consuming lots of them, the body is able to bind iron and help it to perform the vital role of transporting oxygen to bodily tissues, as well as absorb other nutrients. But without these necessary chelators, not only can iron become a type of harmful toxin, but other important nutrients like vitamin C will not be able to be readily absorbed and used by the body. In fact, Professor Douglas Kell, author of the study and professor of Bioanalytical Science at the University of Manchester, says that nutrients like vitamin C that are normally beneficial can also become harmful if properly-bound iron is not present. And the result of this badly-bound iron, also known as hydroxyl radicals, is the onset of debilitating and degenerative diseases like Alzheimer’s disease. 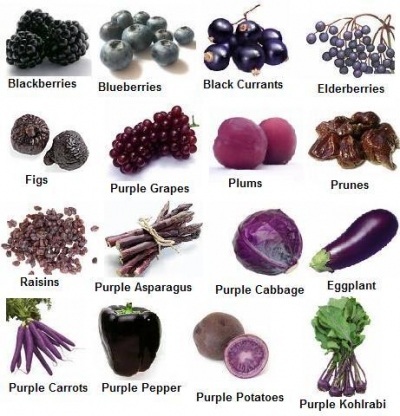 Some excellent purple fruits and vegetables to consume for iron-binding purposes — and for overall health benefits — include purple grapes, blueberries, eggplant, pomegranates, plums, blackberries, cherries, and black currants. We’ve all heard of free radicals and the negative effects they can have on our health. Free radicals occur everywhere in our environment, including our food and in the air we breathe. The acai berry and the other fruits found in Mistica are natural sources of anthocyanins. 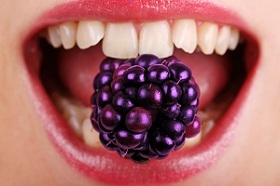 An extremely potent type of antioxidant, anthocyanins are the pigments found in berries, red grapes, and other healthful foods. These compounds offer numerous health benefits, including the ability to support the circulatory and cardiovascular systems.